Yesterday, the Moroccan Parliament unanimously adopted the EU-Morocco fisheries agreement. No wonder. Through the agreement, the EU will pay Morocco to fish in the waters offshore the territory Morocco is illegally occupying: Western Sahara. The adoption comes at three weeks after the ratification by the Moroccan government, on 21 January 2014. Mbarka Bouaida, Minister Delegate to the Minister of Foreign Affairs, once again stressed the importance of the agreement in terms of securing political ties with the European Union. "This protocol defines the means and conditions of the relationship between the two parties in maritime fishing in order to serve national interests, to support political ties with the EU and its members and to ensure the sustainability of the kingdom’s fisheries resources" she was quoted saying in Moroccan media. 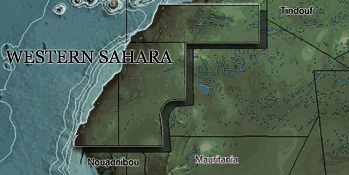 However, “the kingdom’s fisheries resources” also include the rich waters of occupied Western Sahara – Morocco’s southern neighbour which the Moroccan monarchy decided to invade and subsequently annex 1975. Spain, Western Sahara’s colonial power that supported the Moroccan invasion, has been lobbying hard for the EU access to both Moroccan and Saharawi waters. The Spanish fishing industry has indicated its eagerness to start fishing, complaining about Morocco’s tardiness in implementing the agreement. But while the political process is now practically finished – pending publication of the agreement in Morocco’s State Journal – the technical procedures are still to kick-in: creation of a joint technical committee, demand and delivery of fishing licenses, technical visits, etc. The process is expected to take up another month.